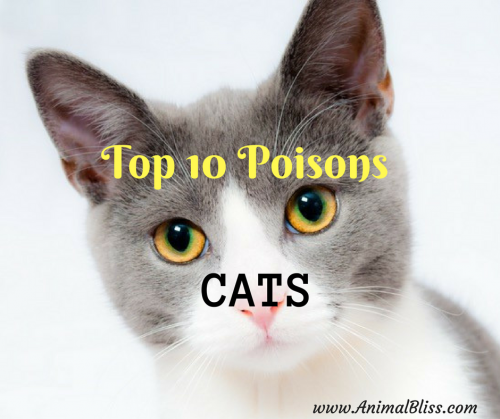 Following is a list of the top 10 poisons for CATS, according to the Pet Poison Helpline. If you suspect that your cat has ingested or been exposed to a toxic substance, call your veterinarian, a nearby emergency animal hospital, or the 24/7 Pet Poison Helpline at 800-213-6680. 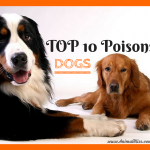 You can also download their Pet Poison Help iPhone app here. The variety of lily determines whether it is relatively harmless or potentially deadly. Non-toxic varieties include the Calla Lily, Peace Lily, and Peruvian Lily, which typically cause irritation of the upper Gastrointestinal tract. Toxic lilies include the Tiger Lily, Asiatic, Stargazer, Casablanca, Rubrum, Day, Japanese Show, and Easter lily. 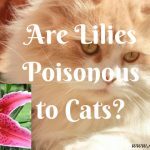 These toxic lilies can prove deadly for your cat. Even just a tiny amount of any portion of these plants can cause kidney failure. General-purpose cleaners are relatively safe (all-natural products are a much better choice), but concentrated products like Drano or toilet bowl cleaners can cause chemical burns. 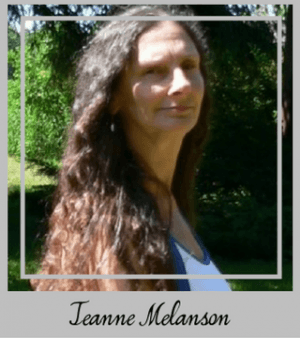 Never use a canine flea/tick product on your cat. 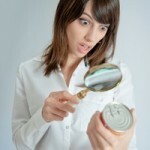 Depending on the ingredients in the product, just a drop has the potential to kill a cat within hours. To be safe, use holistic products, such TripleSure Natural Flea & Tick Spray. Cymbalta and Effexor topped the Pet Poison Helpline’s toxic antidepressants list in 2013. For some reason, cats are drawn to these medications, which can cause severe neurological and cardiac effects. Cats are more sensitive than dogs to non-steroidal anti-inflammatory drugs like ibuprofen and naproxen. Because cats are so sensitive, veterinary-specific NSAIDs should be used with extreme caution, if at all. 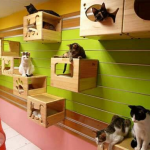 Just as with dogs, these drugs, which are amphetamines, can cause tremors, heart problems, seizures and death in cats. Many of these preparations contain acetaminophen (a painkiller) and pseudoephedrine or phenylephrine (decongestants). Acetaminophen is especially toxic to cats – it damages red blood cells and causes liver failure. Peace lilies, philodendron, and pothos can cause oral and upper Gastrointestinal irritation, foaming at the mouth, and inflammation when ingested. 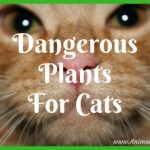 If you must use insecticides on your indoor plants make sure to keep your cat away from plants after application until the products have dried or settled. Many cats enjoying gnawing on glow sticks and glow jewelry. These items contain dibutyl phthalate, a chemical that can leak out and burn your cat’s fur and tongue. 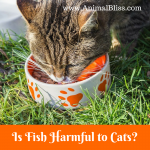 Have you dealt with your cat getting into toxic substances? Do you have any advice? DISCLOSURE: Animal Bliss is a participant in the Natural Wonder Products and the Amazon Associates Affiliate Program. Oh my god, Jeanne! I was only aware of lilies and house whole cleaners but I did not notice about medicines and glowing sticks.When I was a kid, my family tried to keep dangerous things away from our kitty Mr white as much as they can to make him safe.But I remember that kitty used to chew my glowing sticks which I bought from street shops in front of the school. Thank god! chemical did not leak in his mouth. I do not have experience with medicine but I lost one of my kitties because of fish bones have given by a neighbor woman. You made an amazingly informative article. May God bless your wonderful heart ! 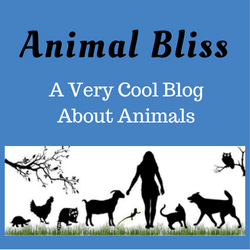 because you save many lives of cats already with this informative article by alarming the pet owners. 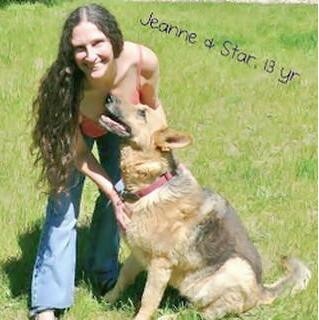 Thank you, Jeanne. Thank you for your comment, Nadia. I’m happy that you found this post so informative, and I do hope that some cats’ lives will be in less danger because of it. I appreciate your visit to Animal Bliss today! Peace. This list is very educational. I was unaware of most of these. Household cleaners I knew were dangerous but not I have a better insight of so many other detrimental things that are harmful. Thank you for sharing.